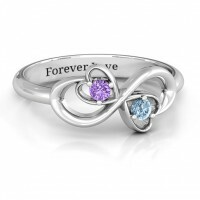 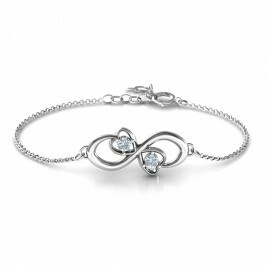 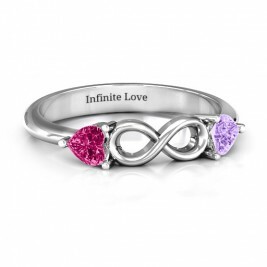 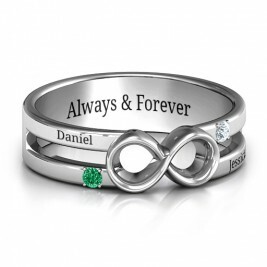 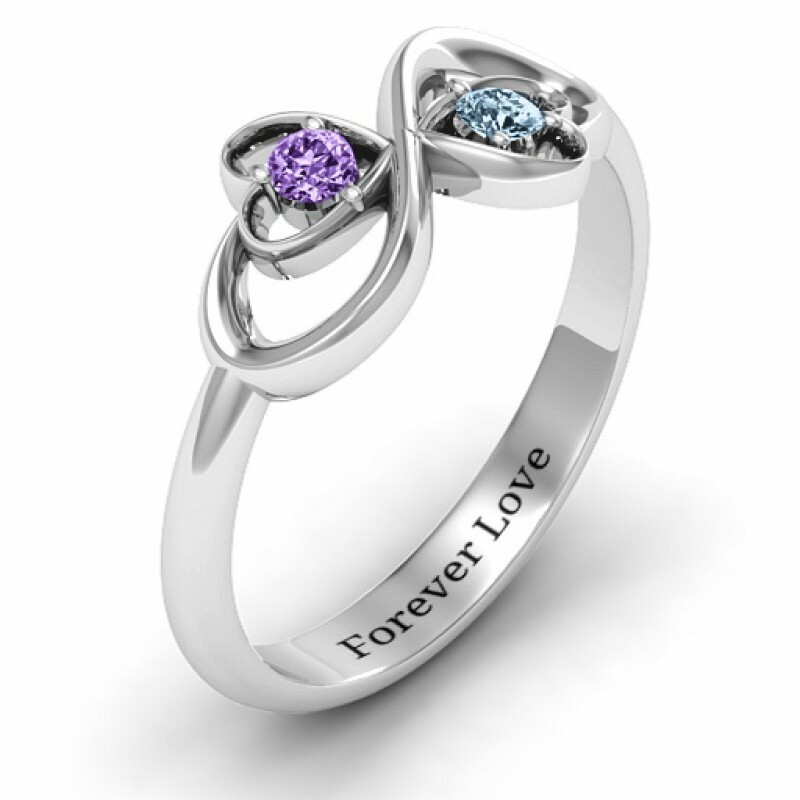 Main Stones: Two 2.5mm Round Stones Max Ring Width: 8.5mm.The classic infinity ring embellished with two hearts encompassing two round gemstones symbolizing true love forever. 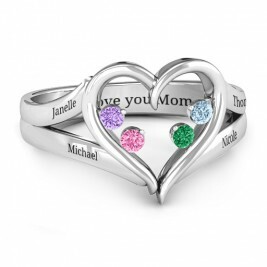 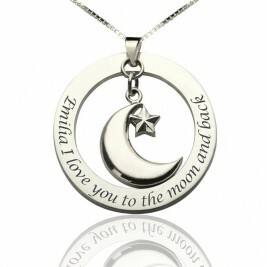 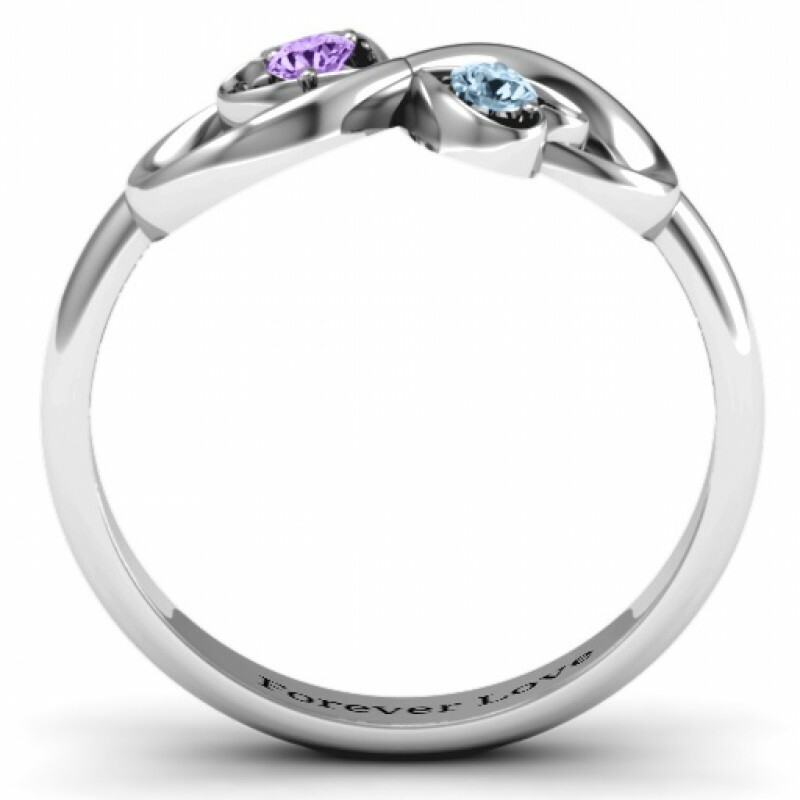 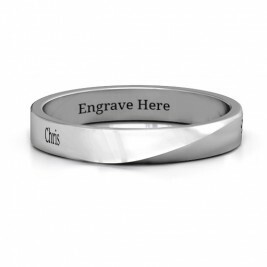 Personalise with your choice of birthstone or Swarovski crystal and finish it off with a special engraved message inside the ring. 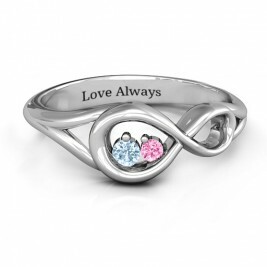 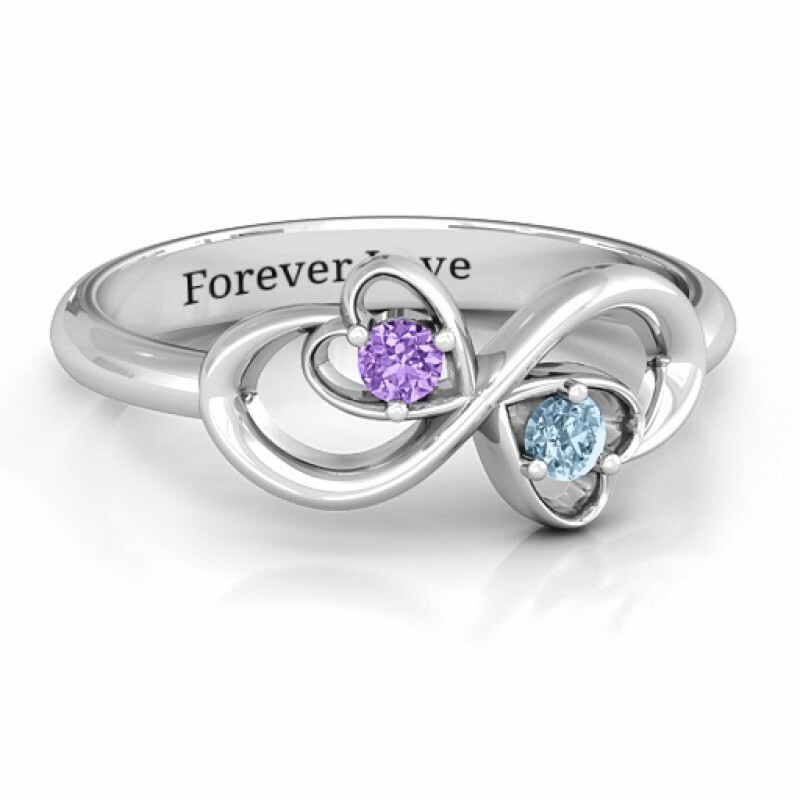 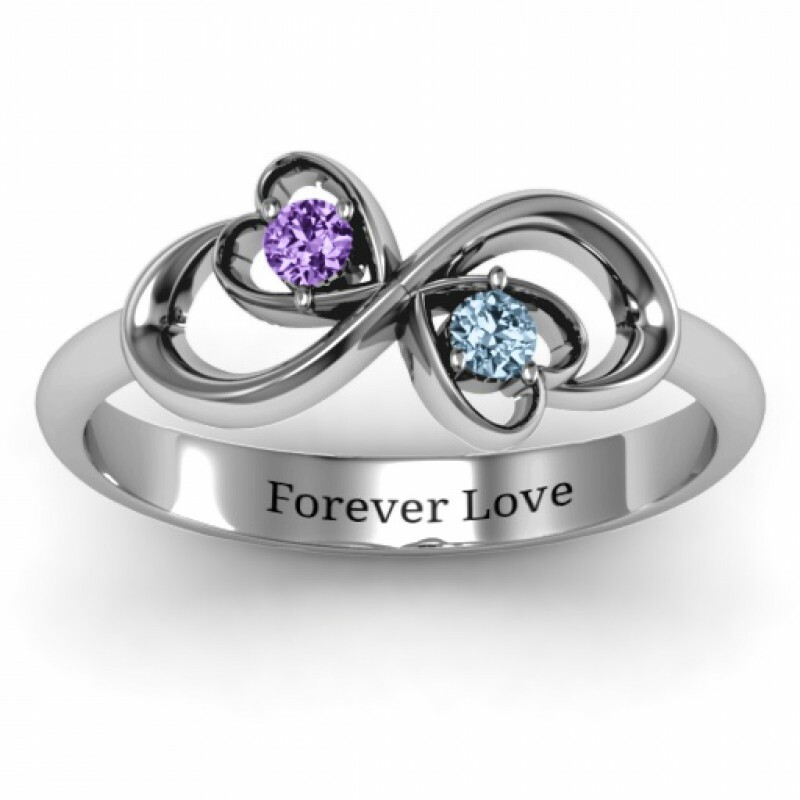 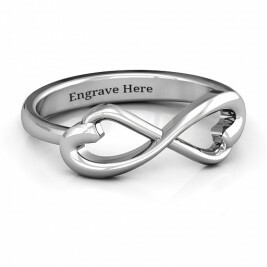 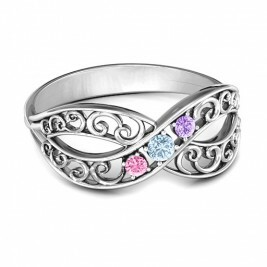 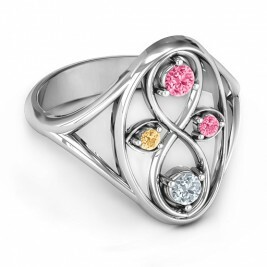 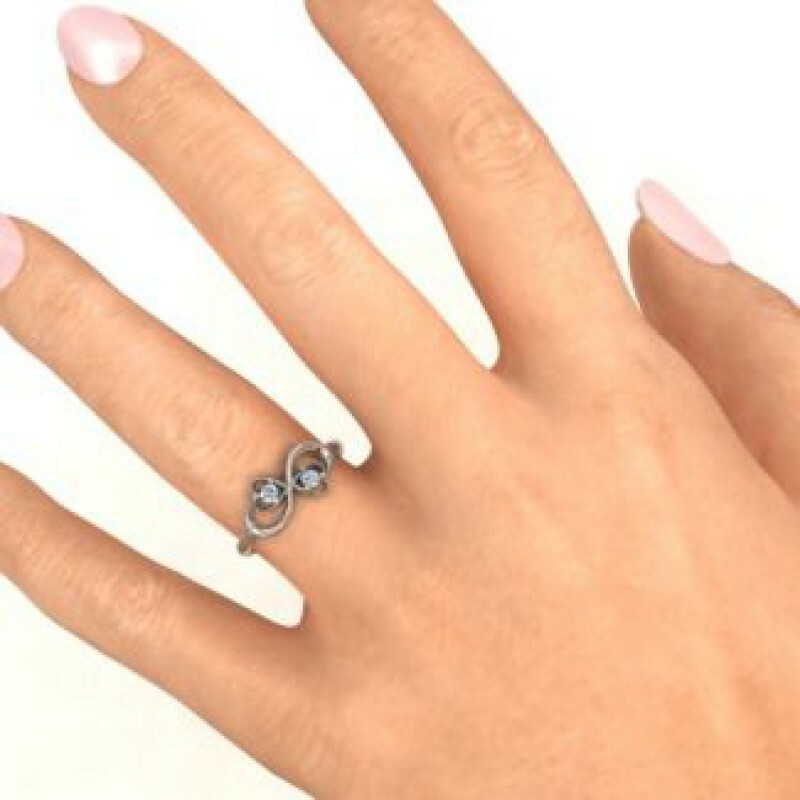 This ring can be custom made in silver or your choice of white gold, rose gold or yellow gold.